Matsuyama Castle is one of the symbols of Ehime. It is a hill-type castle (similar in design to Himeji Castle) and was built in 1603 by Kato Yoshiaki. 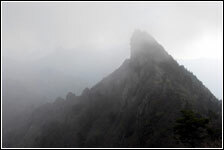 It can be reached by foot, chairlift, or ropeway. The ropeway station is just past the north entrace of Okaido. Matsuyama Castle lies in the center of Matsuyama and can be seen from most places in the city. The cherry blossoms are particularly beautiful here in spring. Dogo Onsen is the oldest hot spring in Japan, dating back 3,000 years. Prominent writers like Natsume Soseki and Masaoka Shiki (the father of haiku) called Dogo home. 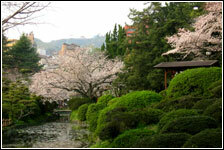 It is located in Matsuyama and can be reached by tram, bus, or the antique Dogo train. Set courses can be purchased that include a visit to the onsen, a tour of the building, and the famous Dogo dango. It is connected to both Dogo park and a nice shopping arcade. 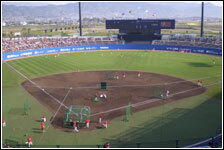 Located in southern Matsuyama, Botchan Stadium is Ehime’s largest stadium and sports complex. It was named after the well-known novel, “Botchan” written by Natsume Soseki, a long-time resident of Matsuyama. It seats 30,000 people in two tiers. It is mostly used for baseball matches (both JHS and SHS) though the surrounding complex also offers swimming, tennis, a dojo, and other sports. Mt Ishizuchi is the tallest mountain in Shikoku at 1,982 meters (6,503 feet) and is located in Kumakogen-Town and near Saijo City. It is a major object of worship of Shugendo, a mixture of Shintoism and Buddhism. It is a popular place to hike in autumn and spring. A ropeway will take you halfway up the mountain. From there it takes roughly 4 hrs roundtrip to reach the summit. 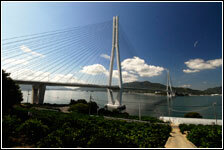 Located in Imabari, the Shimanami Kaido are a series of bridges spanning several islands in the Seto Inland Sea. They stretch from Shikoku to Hiroshima prefecture on mainland Honshu. A popular activity is to rent bicycles in Imabari and bike the bridges to Onomichi City. A one-way trip will take about 8 hours. You can stay the night in Onomichi and bike back or take the ferry/bus back to Imabari. 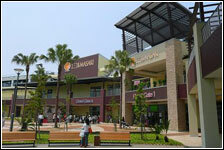 Newly built in 2008, Masaki Emifull is located in Iyo City and is the largest shopping mall in western Japan. 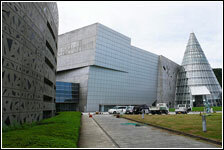 It comes complete with many Western-brand shops, a cinema, a game center and a large food court. Located in Niihama, the Ehime Prefectural Science Museum is a large museum with an array of fascinating displays and experimetal models. It is also one of the few places in Shikoku to have a beautiful 30m Planetarium. Nanrakuen Garden is located in Tsushima in the Uwajima area. 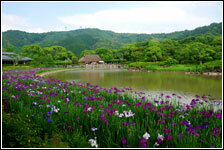 It is one of the largest gardens in Shikoku and boasts three different flower festivals: Ume (plum) festival in March, Azalea festival in May, and Iris festival in June. To get there, you can take a bus from Uwajima City. Nametoko Gorge is located in Matsuno and is a beauitful place to go hiking, especially in autumn when the mountains are covered in red and yellow foliage. There are several waterfalls in the area, the nicest being reached by climbing up a steep slope via rope (not as dangerous as it sounds!). 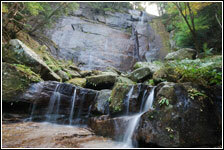 In summer you can go swimming and slide down one of its lower waterfalls.